Man’s failure and God’s redemptive work is the whole story of the Bible. From Genesis to Revelation; from the Fall to last words of Christ in the Bible that state, “Surely I come quickly,” (Rev. 22:20), God has sought a relationship with mankind that would eventually lead into eternity. No other story in the Bible demonstrates this sought for relationship better than that of the Prodigal Son. In it, we see the rebellion of man. But, also in it, we see the love of the Father looking for His lost child. One’s eternity will be predicated on if one made the same choice as the Prodigal – to turn back to the Father, repent and rest in His love, and let Him restore. The Pharisee’s had a propensity for thinking they knew better than Jesus. Many of Jesus’ actions were frowned upon by them. Little did they know His mission was to seek and to save them that are lost, (Luke 19:10). To do this, He often stepped out of the box most in His time would not. Their comfort zone didn’t allow them to spend time with the baser sorts of the world and when Jesus did, He was talked about and misunderstood. His motives were of pure love and showing mankind there was a better way. He didn’t mind teaching to any who had an ear to hear including “publicans and sinners,” (Luke 15:1-2). His focus was to teach them, as well as the religious elite, the Father loves the world (John 3:16) and the salvation He seeks to give and the relationship He wants to have is extended to all mankind. 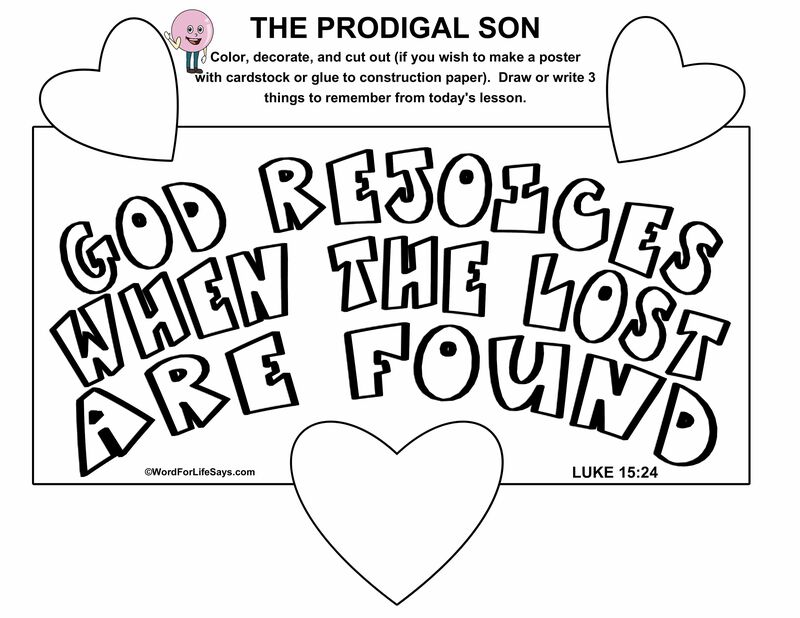 Every human life is valuable to Him; therefore, He will rejoice when even just one of those lost ones becomes found. To demonstrate this, He told stories we have come to know as parables. These heavenly nuggets of truth illustratively depict the Father’s desire to be in constant communion with us. When that bond between Father and creation was broken by sin, His love was not, and He celebrates with all of heaven the one who turns back to Him. Before reaching the story of the prodigal son, Jesus told two lost and found stories regarding sheep and a coin (see Luke 15:3-10). These are things, property if you will, who have no eternal value in them. Once they have expired their use here on earth that’s all there is. There is no soul to worry about in these “objects” for eternity. Yet, people get really upset when property is messed with; when things that can be replaced disappear. Jesus knows His audience. He knows the value they put on these “things.” He knows when a disappeared object is restored and found happiness soon follows. To bring it all into perspective He adds in Luke 15:7, 10 the joy that all of heaven experiences “over one sinner that repenteth.” Some get happy over found objects, but heaven rejoices over found people. Unlike those objects, people have eternal value. They do have souls to worry about and when one is restored in proper fellowship with the Father – oh, what a day that will be! Priming the pump, if you will, with those parables, Jesus further explains in more detail using human relationships, something not as easily dismissed as a story of a sheep or a coin. He tells of a father and his two sons, one of which is dubbed forever as the prodigal. 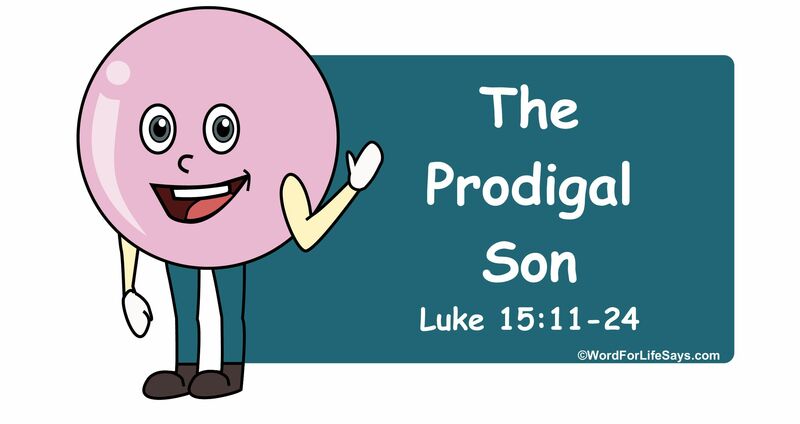 What made him a prodigal? His reckless lifestyle of squandering money and resources to please his immediate pleasure of the flesh to live lavishly made him so. 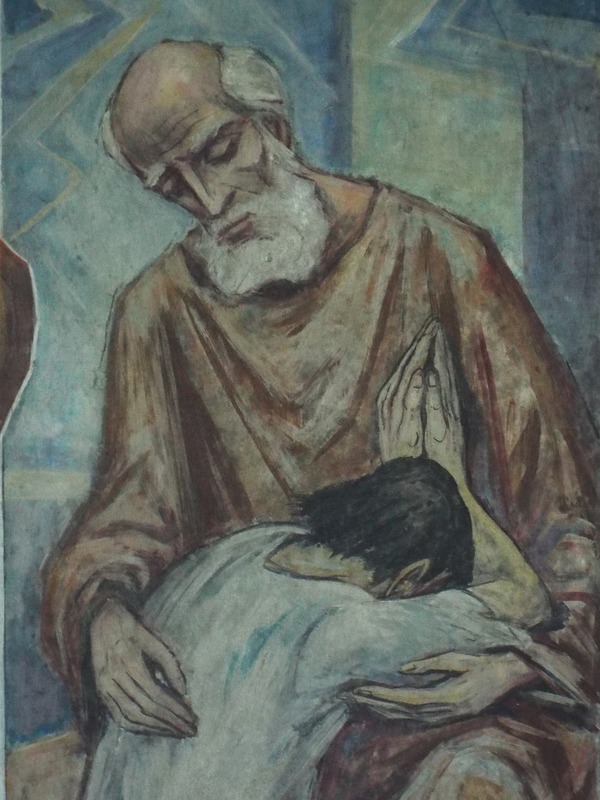 Not wanting to wait until his father died, one day the younger of the two boys, the prodigal son, went to his father and said, “Father, give me the portion of goods that falleth to me,” (Luke 15:12a). To some modernist, this may not seem like a big deal. Nowadays, some like to give out portions of inheritance so that they can see their kids enjoy what would have been left to them. But, in Jesus’ day, this was an insult. His father was apparently still alive and very vibrant in health. He had many years ahead of him and was nowhere near to being on his death bed. But this selfish son couldn’t wait that long. He wanted his portion now. Pushing forth in this manner was not only a disrespectful sentiment toward his own father, but he was seeking to usurp the tradition of the older son receiving first. According to law, the older son would also receive a double portion because of his firstborn status (see Deut. 21:17). The Bible doesn’t go into detail about the father’s reactions. Was he taken aback by the younger son’s request? Did something in his behavior lead the father to believe this day was coming? We don’t know. But we do know surprisingly the father agreed to the request and “he divided unto them his living,” (Luke 15:12). With the word “them” included, we can only assume that both sons at that time received their inheritance. Not wasting much time, “not many days after the younger son gathered all together, and took his journey into a far country, and there wasted his substance with riotous living,” (Luke 15:13). As if his original demanding of an early inheritance was not offensive and dishonorable enough, this rebellious son took all that was now his and left. He took his father’s hard-earned money and resources which he spent a lifetime accumulating and put a huge distance between himself and his family. Instead of loving the father more for what he had received and cleaving to him, he sowed seeds of division. Acting like a spoiled brat (as one would call him today), he separated himself from the reach of his father and his jurisdiction, and off he went “into a far country,” (Luke 15:13). Reading the text, we see this younger son’s wrong lifestyle and choices caught up with him. Judging by the robe, ring, and feast later given at the end of the parable, I am supposing his father to have been a man of considerable wealth. Meaning his portion of inheritance was no chump change. He had to have arrived at that far country with a considerable sum of money. With one wrong decision leading to another, and then another, extravagantly spending here and there, he squandered his money and “wasted his substance with riotous living,” (Luke 15:13). His irresponsibility went far beyond just misspending and purchasing items without regard. His lifestyle knew no restraint. The son exposed himself to a free for all, anything goes pattern of behavior, he was not privy to under his father’s roof. He may not have to answer to his father any longer but, life and the choices he made, will demand one. Eventually, what he sowed he is going to reap (Gal. 6:7) and he will begin to understand the real impact of his actions. With a famine befalling the country and no longer with the privilege of money and friends at his disposal, “he began to be in want,” (Luke 15:14). Never in his life did he ever have to go without, but now just the basics of life eluded him, and he was destitute. He was poor beyond measure. One can lack money and still have some sort of familial support or a soul to confide in and depend upon. He had none. His lifestyle didn’t promote the faithfulness of human support to see him through his difficult ordeal. Any friends he had probably came and went with his money. Now, his situation is about to get even more desperate. And, as they say, “desperate times call for desperate measures.” With that, “he went and joined himself to a citizen of that country; and he sent him into his fields to feed swine,” (Luke 15:15). Becoming a citizen of a country means you agree to be one of them now. You agree to abide by and uphold their laws and traditions. Depending on the country you could be asked to totally acclimate to their culture and give up all previous markers of identity that made you, you. In his desperation, he felt he had no choice. He was starving and without residence and he needed to secure employment just to live. Being in no position to negotiate, he had to take what he could even if it was something totally against his upbringing. 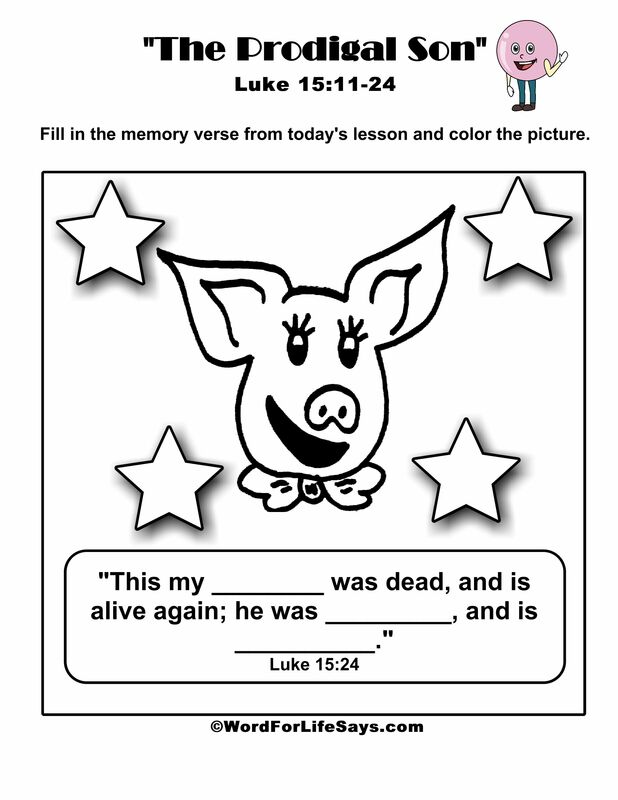 He had to feed the swine (Luke 15:15). The Jewish people do not eat or deal with anything pig related. To them, these unclean creatures were the lowest of the low, and yet his employment now causes him to care for them. If his situation couldn’t get any lower, we read his desperation was teetering on the side of despair and total hopelessness. With no dignity left, and without regard to propriety, he began to desire the slop the pigs were eating: “he would fain have filled his belly with the husks that the swine did eat: and no man gave until him,” (Luke 15:16). This is what one calls a rock-bottom scenario. He was about as down as down could get. How was he to come out of this? After the reality of a situation so bad he was willing to eat the slop of pigs, the prodigal son was hit with an even bigger dose of reality. His destructive lifestyle had taught him a lesson or two the hard way: 1) The grass is not always greener on the other side, and 2) What he had, to begin with, was not so bad after all. This is one of those moments when the obvious is made clear and people say if it was a snake it would have bit you. Therefore, he said, “How many hired servants of my father’s have bread enough to eat and to spare, and I perish with hunger! I will arise and go to my father, and will say unto him, Father, I have sinned against heaven, and before thee, And am no more worthy to be called thy son: make me as one of thy hired servants,” (Luke 15:17-19). He sought a complete turnaround in the life he messed up. With great resolve to get back to where he belongs, “he arose and came to his father,” (Luke 15:20). Little did he know, despite his selfish behavior his father never stopped loving him and never stopped looking for him. “When he was yet a great way off, his father saw him, and had compassion, and ran, and fell on his neck, and kissed him,” (Luke 15:20). This is that type of rejoicing we see in the two previous parables of the lost sheep and the lost coin made even more alive by the returning of the lost son. The father who is representing our heavenly Father has compassion and rejoices over the repentance of the lost. As I stated at the beginning of this article, this has been the whole story of the Bible. Man’s lost state meets with God’s compassionate redemption. Wow!! Every time someone leaves the world of sin behind and comes back to the Father, He is overjoyed. Heaven is singing and shouting praises. People matter to God. Lost people are loved by God. His strongest desire is to see them come back home in His loving arms where they belong. What an eye-opening picture this parable presents. The son readily admitted his failure to his father and confessed his sins (see Luke 15:21). Thinking to come back as a servant, how big his eyes must have gotten when he heard the command, “Bring forth the best robe, and put it on him; and put a ring on his hand, and shoes on his feet: And bring hither the fatted calf, and kill it; and let us eat, and be merry: For this my son was dead, and is alive again; he was lost, and is found. And they began to be merry,” (Luke 15:22-24). Instead of disowning him and putting him to work, the father received him with joy and restored his position as his son (signified by adorning him with the best robe, ring, and shoes – all markers of his position in the family). This went way beyond his farthest dream could imagine when he was hungering and wishing for at least some pig slop to eat. He was totally restored! This is God’s end desire for all, including the lost. He wants to welcome them home and put on them the identifying markers that they are His child and they are restored. Those that are spiritually dead He wants to make alive once more. If one finds themselves currently in a prodigal state of living, without hesitation I plead with you to turn back to our heavenly Father and let Him restore you. Experience His compassion of salvation offered through our Lord Jesus Christ. 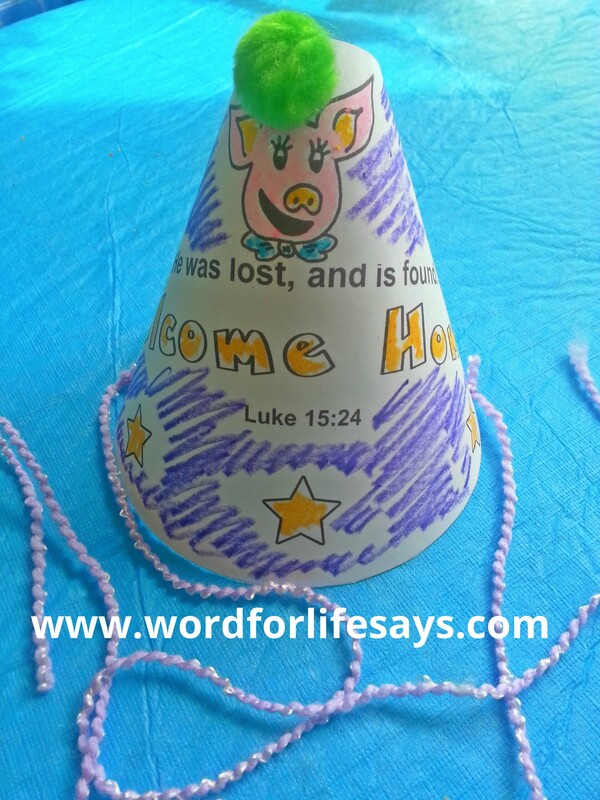 Prodigal Son Welcome Home Party Hat: When the lost son came home his father celebrated. 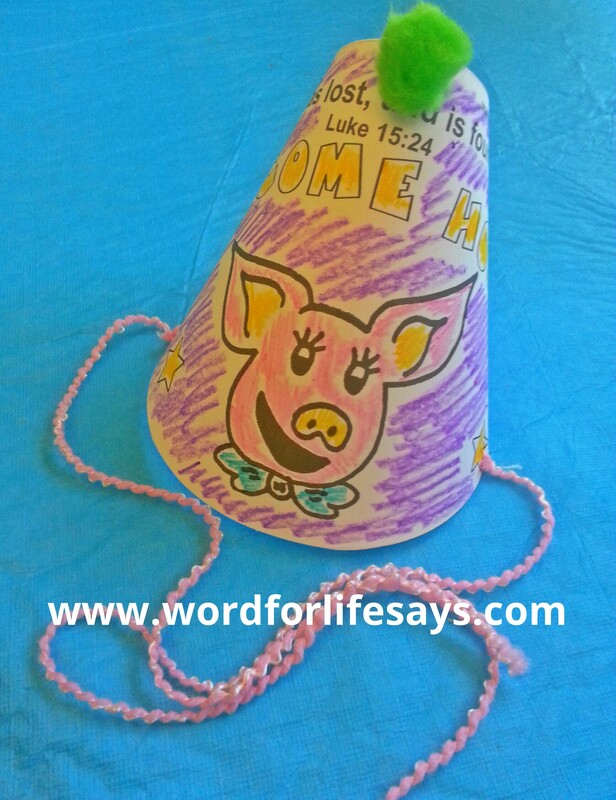 Simply print the PDF (whichever version you like best I couldn’t decide which one I liked more, so I leave it up to you: Prodigal Son Party Hat or Prodigal Son Party Hat 2 (both options are shown at the bottom) with verse onto cardstock. Color and decorate. I added a little pom pom on the top. Another option is to glue pom poms all over instead of coloring the stars if you wish. The only limit is your and your student’s imagination. Punch holes in the side and string with yarn. There you have it. Enjoy! No matter what yesterday was like, today is a new day.